Our first entry was setting an intention for the year. Choose a word that describes your intention and make a string of that word to tangle or do what ever you would like. Having such a diverse group there have been many unique beginnings and I have already started learning for others. 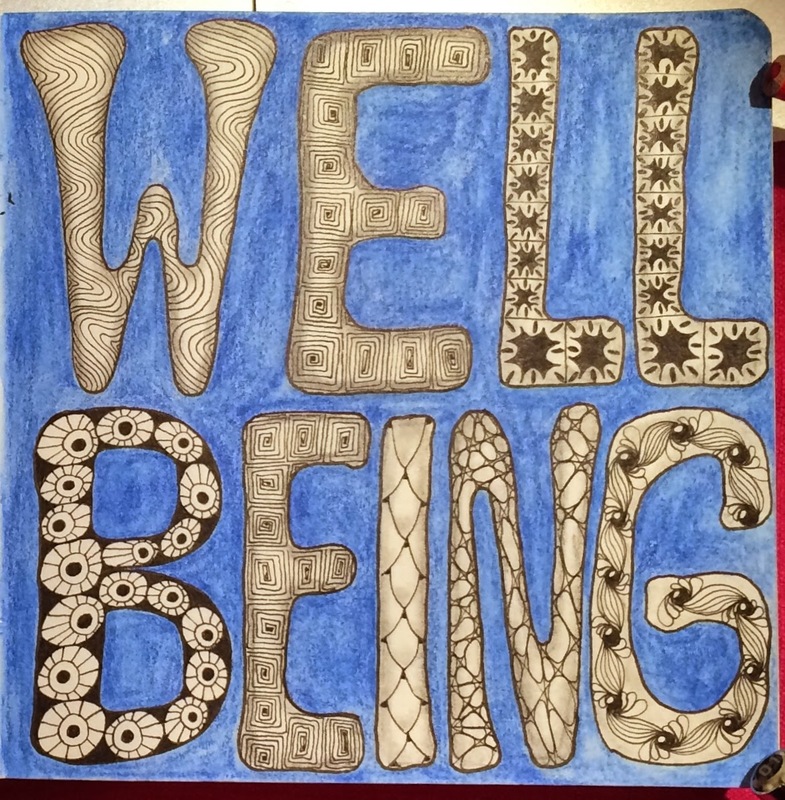 My intention for the year is Wellbeing, the state of being comfortable, healthy, or happy. I have let myself become lost in the last several years and that was ok, I needed to go through it, but now I am ready to change up a few things so that I will be comfortable, healthy and happy. I hope to achieve these goals buy giving up a few things, adding a few things and being very grateful for what I have in the present. It makes me happy just to look at it. Score!